People ask: Why should I care about the ocean? Because the ocean is the cornerstone of earth’s life support system, it shapes climate and weather. It holds most of life on earth. Ninety-seven percent earth’s water is there. It’s the blue heart of the planet – we should take care of our heart. It’s what makes life possible for us. We still have a really good chance to make things better than they are. They won’t get better unless we take the action and inspire others to do the same thing. No one is without power. Everybody has the capacity to do something. Note: I am helping beat the drum here on the Central Oregon Coast around climate change, pollution, development, plastics and the like, by writing small stories (that’s what I am limited to) for the local newspaper, Newport News Times. This is an exercise in concision, as Noam Chomsky was once told by Jeff Greenfield of ABC. While the mainstream corporate media hold sway over the public’s lack of understanding of almost everything important to our communities’ and earth’s survival, small town news, this Newport paper I am writing for also holds sway over some of the Central Oregon Coast’s news: it’s owned by a conglomerate, News Media Corporation, which, according to the web site, has dozens of small-town newspapers in its stable — 43 Years in Business; 150+ Publications; 9 States; 600,000+ Subscribers. Is it any wonder why Americans do not trust the press? But, do they trust politicians? Or millionaires and billionaires? The US Military? Teachers? Doctors? Social workers? Presidents? In reality, Americans are born delusional thinkers because of their lack of critical thinking and unwillingness to learn this country’s foundational history as a subjugator of other peoples, as possibly the biggest threat to world peace, and as the biggest purveyor of pollution, financial war and arms sales. But, back to the topic — writing for free, cutting back on not only nuancing but depth, to make a small blurb in the local rag to try and bring attention to a topic very important to the fragile cultural and economic bedrock of Central Oregon coast — this place needs clean beaches, decent ways to control growth, a strong, healthy marine and near beach ecosystem, and some way to help old and young human residents to thrive economically, educationally and locationally. I’ve gone through J-school, in 1975, in Arizona, covering all sorts of emerging issues, and ending up in Tombstone on a lab paper, and then working for a small conglomerate of newspapers along the Southern Arizona Border. Cutting my teeth in El Paso for the two dailies, one of which went belly up (Herald-Post). The same bellying up happened in Tucson, where I learned journalism — Arizona Daily Star won out and the afternoon paper, Tucson Daily Citizen died. So, you have all these small newspapers being shut down or being bought up to promote advertising. Little towns can’t get the news from on-line forums or big papers in Portland or Eugene. No matter how much the public loves to hate the media, or the Press, or journalists, the fact is real journalists (come on, if you don’t know what a real journalist is, then, you haven’t been reading) are out there in the tens of thousands, and in other countries, they end up splayed on the streets, shot through the head, and disappeared. Check out Reporters without Borders! United States, ranked 45 for press freedoms! Back to the little outing I made April 4, 2019, to listen to a PhD with the state of Oregon talk about Ocean Acidification and Hypoxia (OAH) and harmful algal blooms (HAB) and the how, why, what, where, when and who around the connected issues of culture, livelihood, marine health, resiliency, mitigation, adaptation. Moreover, I know for a fact learning how to report on climate change — and ocean acidification is tied to the amount of CO2 the ocean absorbs (CO2 being a greenhouse gas and acidifier once it reacts to the chemistry of ocean, wave, air, organisms) — is not only vital in this day and age of dumb downing everything, but also because of the proliferation of the corporate PR firms and burgeoning corporate water carriers that the mainstream corporate media is (pressitutes). How does the media cover—or not cover—the biggest story of our time? Last fall, UN climate scientists announced that the world has 12 years to transform energy, agriculture, and other key industries if civilization is to avoid a catastrophe. We believe the news business must also transform. Why haven’t (most) news organizations been covering this story as if everyone’s lives depended on it? How can they craft stories that resonate with audiences? How do they cover this urgent, far-reaching story at a time when journalism’s business model is so precarious? The Columbia Journalism Review and The Nation are assembling some of the world’s top journalists, scientists, and climate experts to devise a new playbook for journalism that’s compatible with the 1.5-degree future that scientists say must be achieved. Join us for a town hall meeting on the coverage of climate change and the launch of an unprecedented, coordinated effort to change the media conversation. As always, everything is centered in-around-because of New York City, East Coast. So, we have the west coast, from California to Alaska, and Baja, Mexico, that produces much of the seafood those diners in New York City love, yet, how many reporters from the West Coast will be there, and, should we be injecting kerosene soot and water vapors and CO2 directly into the atmosphere with all this flying/jetting around for one-day conferences? Oh, the conundrum of it all, and yet, 4o people met on a glorious Thursday night to listen to one scientist try to do some jujitsu around the colluding topics tied to ocean warming, acidification, eutrophication, hypoxia, red tides, plastics, sedimentation and declining oyster cultivation, declining wild salmon stocks, threats to the Dungeness crab industry and other fisheries threats. We didn’t even get around to how many impacts will befall cetaceans — the iconic grey whales (and other dolphins and whales that migrate and hang around) which are part of a growing whale watching tourism industry. Here is the story for the Newport News Times. It hits around 1,120 words, certainly not reaching the expected concision of small town twice-a-week newspapers (600 words!). It might be cut so much (mangled is my term) that it will be a shell of its original self. In today’s changing world of climate change, it might not seem unusual to see a room with forty Lincoln County residents at the Visual Arts Center overlooking Nye Beach on a windless, rainless evening to talk about biochemistry, the atmosphere and oceanographic sciences. A few quick introductions for those attending the MidCoast Watersheds Council monthly meeting, and we were about to be schooled in pteropods, pelagic snails, corrosive sea water, pitted and wonky oyster larvae shells, with large doses of talk about Newport’s and the entire Oregon coast’s economic threats caused by increased ocean acidification. The attendees were introduced to the basic chemistry of ocean acidification and hypoxia with a 13-minute video: “Ocean Acidification – Changing Waters On The Oregon Coast” – sponsored by Oregon Fish and Wildlife, OSU College of Earth, Atmospheric and Ocean Sciences, OSU’s College of Science, Sea Grant Oregon and the Turner Trust. Tying the negative impacts of human development, consumption and resource harvesting on the environment, to lower PH in our waters is depressing and challenging. 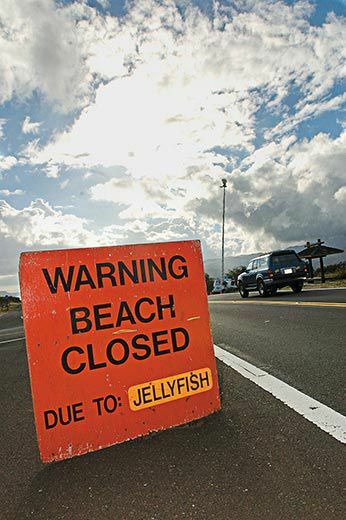 For Braby, who’s big on “focusing on Oregon … describing the problem” Ocean Acidification threatens the Oregon Coast socially, culturally, economically and recreationally. For instance, the Dungeness crab industry is Oregon’s single most valuable commercial fishery at $75 million last year. While the sea snails are the building blocks for salmon and other marine species food webs, acidification effects all shell-building species, including the iconic crab. Those four threats Braby listed, plus the fact lawmakers are concerned with the state’s rural communities, are driving the legislature to follow the lead of marine scientists and stakeholders such as Confederated Tribes of the Coos, Lower Umpqua & Siuslaw Indians, the shellfish industry, commercial fishing groups, conservation organizations and others to create in 2017 the Oregon Coordinating Council on Ocean Acidification and Hypoxia (SB 1039). Both holders of doctorates, Jack Barth, director of Marine Studies Initiative-OSU, and Brady are the OAH Council’s co-chairs. Unintended consequences should be the lesson of the century when teaching young people how to tackle all these problems scientists like Brady, Barth and Chan are “describing.” For Caren Braby, acidification, hypoxia and harmful algal blooms are a triple whammy of not just alphabet soups – OA, OH, OAH, HAB — but could be the tipping points in this coast’s livelihood, lifestyle and environmental, economic and cultural longevity. “Even if we stop releasing carbon dioxide today, there will still be a thirty- to fifty-year increase in the atmospheric carbon dioxide absorbed by the ocean upwelling from deep within the ocean,” Braby told the audience. This lag time will affect the ocean’s PH level, causing more acidification. How much, we don’t know. The deep-ocean conveyor belt brings to the Oregon coast cold water, called upwellings. That water comes from deep in the ocean and carries more nutrients that sustain ocean life. However, bad comes with the good – that water has less oxygen and tends to be acidified. Taking decades to travel to the West Coast, this water last touched the atmosphere decades earlier, when CO2 levels were lower than today. So future upwellings will carry the “memory” of today’s annual increases in CO2. Ice core science is now giving us an atmospheric earth snapshot that goes back 800,000 years. Today, atmospheric carbon dioxide is well over the maximum level during this long span. The rapid increase in fossil fuel burning and other man-made carbon dioxide emitters paints a gloomy picture for the past six decades – 1958 at 310 ppm versus 2018 at 410 ppm. The hypoxia – dead zones – is basically less oxygen in large areas of the ocean. Much of the oxygen is displaced by harmful nutrient runoff or sedimentation, as well as algal blooms. However, OSU is looking at complex climate change elements, including wave and eddy action in the oceans. Brady emphasized that biotoxins in several algae species – commonly known as a red tide — closed fisheries in 2015. Again, HAB’s are tied to acidified conditions in the ocean. The state’s scientific and commercial fisheries are looking at not only the predictive tools for HABs, but how to mitigate the impacts to clams, crabs, oysters and other commercial species along the food web. “A massive hypoxic event caused the halibut to go away in both Washington and Oregon,” Braby stated. Add to that acidification’s effects on young salmon. This is a global problem, but Braby and others caution Oregonians to not take the “we can’t do anything to solve this because India and China are causing it” approach. For us overlooking Nye Beach, Brady emphasized the fourth step – socializing these issues through outreach, communication. She admits that scientists haven’t always been good at talking to the public, but Braby is armed to continue these sorts of public outreach events to get the message out about OAH and HAB. The realities around acidification and hypoxia and biotoxicins and algal blooms will continue, continue, continue no matter how many reports are filed, agencies are created, scientists deployed, and public comment periods extended. Talk is very cheap, almost delusional, without action. So, the great yawing world of pacifism and passive hope focused on lobbying our warped political system and constant pleas with lawyers to assist environmental groups and then looking to technological fixes and active geo-engineering “things” to get the climate back on track, well, it’s what makes white civilization so-so flawed. We are Nero fiddling while the planet burns. We intellectualize when things are deeply tied to a deeper level of spiritual thinking. At the event written about above, during this incredible waning night, one big final ending struck me — people in the audience (mostly fifty years of age and upwards of 65 and older) wanted to discuss what the scientist and state bureaucrat, Caren Braby, had presented. The gentleman (MC) with the MidCoast Watershed Council wanted the room cleared and questions quashed at a certain “acceptable” moment in the evening. However, people gathering and listening to a PowerPoint, wanted civic engagement — then and now. They wanted to hash out issues, to arm themselves with better ways to confront deniers and business owners and politicians. This so-called choir needs more tools to discuss the conjoining issues of climate change, resource depletion, food insecurity, growth (human & development), true sustainability, what energy in and energy out is, and so-so much more. They need narrative framing tools to defeat the growing number of do-nothings and capitalists who will take the Titanic down with one life boat for themselves. In fact, one of the active members of the Council wanted a deeper discussion on how insincere the state’s political will is; wanted to confront how flawed any movement on ocean acidification and hypoxia is without strengthening watershed rules; and he seemed to have info on how a regional approach is the only real way to move ahead, not just a state to state baby step approach. He did not get too much time to discuss before we were dismissed like good little middle school students. There are many natural climate solutions tied to land stewardship that are not in place to help mitigate this huge problem for coastal communities and the marine life around them. This fellow wanted those topics broached and discussed. Alas, in American white species time, we had to clear the room like good little Eichmanns. While I am not a big proponent of harvesting the seas for food as a source of 20 percent of the globe’s protein, right now, the earth is criss-crossed with four to five times the number of fishing fleets than the oceans can sustain if fisheries are to stay robust and healthy. Many fisheries are in deep decline or near collapsing. For Oregon, 37 percent of all greenhouse gasses originate through bad land use. Planting timber is the real solution to carbon sequestration, clean watersheds, protecting terrestrial and avian species and for the so-called coastal economies. Trees, what a simple solution. Unfortunately, these green solutions are not high on the table of scientists looking at chemistry and the invertebrates tied to specific fisheries. Planting trees means rethinking what “private land ownership” means in a collapsing world. Then, you can get so mired in the blue carbon and green solutions that are not high on the scale of bringing down global carbon dioxide levels. The solutions, unfortunately, are all tied to really wrecking “lifestyles, growth rates, consumption patterns, me-myself-and-I ego-centrism, recreation desires, class inequalities” Business As Usual ideals, from the Western Civilization’s (sic) perspective. It’s all about human survival, very Homo Sapiens focused, to the detriment of all other natural ecosystems — not really about the honoring of the millions of other species, or protecting wild-lands or mountain tops and corals, even geological formations, not only for their right to exist, but their beauty and their connection to earth health which is Homo Sapiens health. Take a look at this article by Dr Phillip Williamson. He’s an honorary reader at the University of East Anglia and science coordinator of the UK Greenhouse Gas Removal from the Atmosphere research program, which is coordinated by the government-funded National Environment Research Council (NERC). All the options, therefore, need to be on the table – not just the land-based approaches, such as planting new forests and bioenergy with carbon capture and storage (BECCS) – which have dominated conversations to date. This week, myself and colleagues attempt to address this gap by publishing an analysisof 13 ocean-based actions to address climate change and its impacts. The study considers the effectiveness and feasibility of both global-scale and local ocean-based solutions using information from more than 450 other publications. Each potential action was assessed for a range of environmental, technological, social and economic criteria, with additional consideration given to each action’s impacts on important marine habitats and ecosystem services.The study assesses seven ocean-based actions that have the potential to be deployed on a global scale. For the analysis, it was assumed that each technique was implemented at its maximum physical capacity. Each technique was rated for its “mitigation effectiveness” – which was defined as how well the technique could help move the world from a high emissions scenario (“RCP8.5”) to a low emissions scenario where warming is limited to 2C (“RCP2.6”) – for a range of problems associated with climate change, including temperature rise, “ocean acidification” and sea level rise. “solar geoengineering” techniques such as, “ocean surface albedo” (the reflectiveness of the ocean) and “marine cloud brightening”, which would work by using ships to spray saltwater into the clouds above the sea to make them more reflective. One example of this could be to make coral species more tolerant to heat stress. The last technique is reef relocation and restoration. This can involve transplanting healthy coral into a degraded reef following a mass bleaching event, in order to aid its recovery. Of course, we have shifting baselines, so what Caren and her team work on, well, the predictions of acidification of oceans have been around for decades (a baseline for action 30 years ago), with the predicted breakdown in shelled species losing their ability to delivery calcium to make shells. We can study and research the problem until corporations have finally cut every last old growth tree or culled the last blue whale. The partnerships tied to OAH and HAB are impressive, but we are not in a climate where these blocking steps should be allowed — more science, more studies to delineate the problem and more monitoring; and then, the proposed lunacy of iron shavings in the ocean and sulfur dioxide spewed into the atmosphere to dim the sky? Madness! The average citizen wants to stick his or her head out the window and say: “So, I want you to get up now. I want all of you to get up out of your chairs. I want you to get up right now and go to the window. Open it, and stick your head out, and yell: I’M AS MAD AS HELL, AND I’M NOT GOING TO TAKE THIS ANYMORE!” Howard Bale, from the movie, Network. Here on the Oregon Coast, hypoxia events during summer months are growing in size and duration, and seeing more and more of these biotoxic algal blooms (phytoplankton) making it to the smaller fish like sardines and anchovies, and into oysters and clams, well, the bio-accumulation and bio-toxicity carry up the food chain. Many warnings to “don’t eat the clams/oyster/fish” will be sent out as we move into the next decade. This is the future. Caren Braby also talked about pyrosomes, sea pickles (each is technically a colony of other multi-celled animals called zooids), that are not normally seen on the coast but are a result of hypoxia. Warming seas. What have you. We are in some really bizarre times — people like Caren Braby have their laurels and positions with the state and other agencies, but in reality, they are making their incomes off of collapse, the sixth mass extinction, and local communities (both human and not) demises. The reality is many thousands and thousands of out-of-balance changes are occurring at the flora and fauna level, let alone at the chemistry level. So, the most abundant animal on earth, zeroing out because of ocean acidification? Not a fairy tale you want to repeat to your five-year-old for bedtime story telling. Insanity. As the oceans become more acidic, box jellyfish may start eating a lot more. Their greedy appetites could have a huge impact on marine ecosystems. Some of the carbon dioxide we release is dissolving in the oceans, where it becomes carbonic acid – making the oceans less alkaline and more acidic. Scientists are scrambling to identify which species will be most impacted. They are particularly concerned about organisms that play pivotal roles in marine food webs, because if they disappear, entire ecosystems may collapse.Copepods are particularly critical. These tiny crustaceans are the most abundant animal on earth by mass. They swarm in vast numbers in some regions of the ocean, where larger animals feast on them. What happens to copepods affects all that depend on them, “which is pretty much everything,” says Edd Hammill of Utah State University in Logan. Previous studies have found copepods may be fairly resistant to ocean acidification. However, these have largely focused on single species, so community-level effects may have been missed. So these powerful swimmers, halibut, take off when they end up near a hypoxic zone. Entire coastlines (WA and OR) then have had halibut fisheries completely shut down with no halibut to be found. Maybe the oceans are an allusion to what we have already done to the soil and air and freshwater on land. Not one place on the planet can you take a handful of freshwater and be safe from bio-toxins and deadly amoeba. Every person on the planet has mircoplastic in their feces and many compounds like flame retardant in their blood. “Pteropods are the canary in the mine shaft,” Care Braby stated. How many canaries in the coal mine comparisons are there now on planet earth in terms of specific species crashing and ecosystems degrading? Even one of the businessmen as part of the Whiskey Creek Shellfish Hatchery said the hatchery’s chemistry manipulations were just “scratching the surface” in terms of how big and far-reaching ocean acidification will be. It was here, from 2006 to 2008, that oyster larvae began dying dramatically, with hatchery owners Mark Wiegardt and his wife, Sue Cudd, experiencing larvae losses of 70 to 80 percent. “Historically we’ve had larvae mortalities,” says Wiegardt, but those deaths were usually related to bacteria. After spending thousands of dollars to disinfect and filter out pathogens, the hatchery’s oyster larvae were still dying. Finally, the couple enlisted the help of Burke Hales, a biogeochemist and ocean ecologist at Oregon State University. He soon homed in on the carbon chemistry of the water. “My wife sent a few samples in and Hales said someone had screwed up the samples because the [dissolved CO2 gas] level was so ridiculously high,” says Wiegardt, a fourth-generation oyster farmer. But the measurements were accurate. What the Whiskey Creek hatchery was experiencing was acidic seawater, caused by the ocean absorbing excessive amounts of CO2 from the air. Now is the time (30 years ago, really) to get communities to talk, to come up with collective solutions, to challenge business as usual, and science as usual. And a flat-lined media, or so-called liberal press will not be benefiting anyone in terms of getting community conversations going and action started. If a rag or network is around just to sell junk, then, we have no hope. One restaurant and seafood market owner I talked with in Newport is aware that her five-star restaurant and local sourcing of seafood is “small cookies” in the scheme of things. “There are so many forces beyond our control. I am worried about long-term food security. I want us to be looking at food systems, and to teach that in academic settings,” said Laura Anderson of Local Ocean Dockside Grill and Fish Market.